Vitamin D supplementation has been proposed as a possible preventive strategy to improve lower-extremity function and reduce risk of falls among older adults. But taking higher doses does not improve function and also may increase the risk of falls, according to a study in the February 2016 issue of JAMA Internal Medicine. The recommended daily allowance is 600 international units (IU) for men ages 51 to 70 and 800 IU for those older than 70. 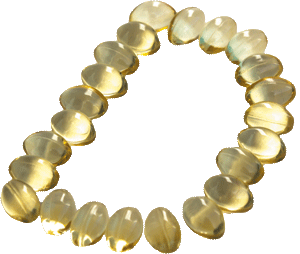 Many older adults get too little vitamin D in their diet and from sun exposure. In the study, researchers analyzed 200 men and women ages 70 or older who had already had a fall. At the start, 58% were classed as deficient in vitamin D. The subjects were divided into three groups. Each one received different daily doses of vitamin D3: 2,000 IU; 800 IU plus calcifediol (another form of vitamin D), which together totaled 2,000 IU; and just 800 IU. The study then measured improvement in lower-extremity function, such as walking, standing, and balancing. After 12 months, higher percentages of people in both the groups taking 2,000 IU daily had falls (approximately 66%) compared with the group taking just 800 IU (47.9%). While vitamin D is important if you are deficient, it appears that taking more than 800 IU per day does not offer greater health benefits. A 25(OH)D blood test, taken at home or by your doctor, can measure your vitamin D levels.